As a business owner, you are probably weighing the value of blogging. As digital marketing capabilities expand, content creation will become more intrinsic in your business function. Using a free site like WordPress also enables beginners to build an online presence without financial investment. As your following grows, your experience will as well. 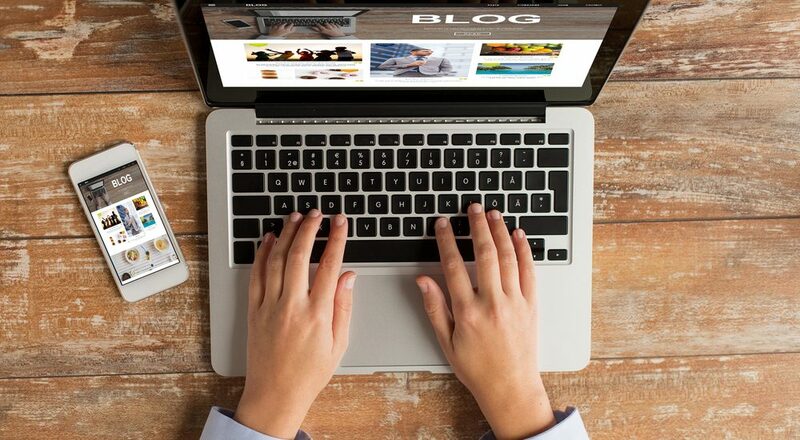 Here are seven ways small businesses will benefit from blogging. Unlike social media platforms that have character limits, blogging allows you to share your opinions, advice, or knowledge in significant detail. Consistent messaging boosts traffic which provides you with an opportunity to convert visitors into sales. When your audience appreciates your content, they will make a habit of reading it regularly. If you want to build a subscriber list, blogs are the best way to do it as you can improve sales, offer upgrades, or entice readers with freebies. It is also the fastest way to reach your followers when you want to relay product or service information or inform about exciting new business matters. When readers feel that you understand your brand, business objectives, and audience, you will have a higher probability of getting them to support future marketing campaigns because of loyalty. You also have followers who will post reviews and comments which most online users depend on to validate a product or service’s worth. Regardless of how big or small your company is, blogging allows you to create brand authority with well-written, informative content. Blogging is all about exposure, and the more that consumers see your name, the higher the chance that your revenue and growth will scale as your content does. Only about two in ten businesses are satisfied with their conversion rates which is why it is always at the forefront of any marketing campaign. If your primary concern is to improve sales, blogging is a highly effective way to convert traffic which is second only to email marketing. Did you know that the company who has the top Google SERP ranking has a 34% CTR? Blogging saturates the internet with your content, and with SEO strategies, it improves your chance of ranking on the first page. As 80% of consumers search online before making purchases, it enhances your sales opportunities significantly. Content creation is the easiest way to step into the world of digital marketing because you can instantly connect your blog to your social media platforms. You are not only marketing on your website, but you are connecting with billions of potential consumers because social media is where they spend most of their time. You also have an opportunity to branch out and make videos or images to accompany your blogs which further exposes your brand. Would you like to create a blog for your business? Contact us at Frogman Media Group so that we can assist you with your digital marketing and blogging needs.